The presenter are full participants in the webinar. 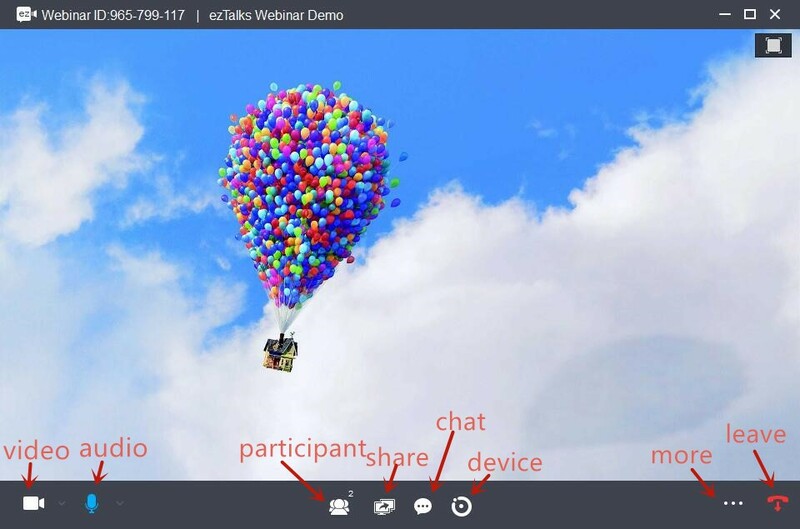 The host needs to set one participant as the panelist first and after he/she joins the meeting via the ezTalks app, he/she can turn on video/audio, share screen & whiteboard and annotate. 1. How to make a presenter? The presenter is assigned by the host. 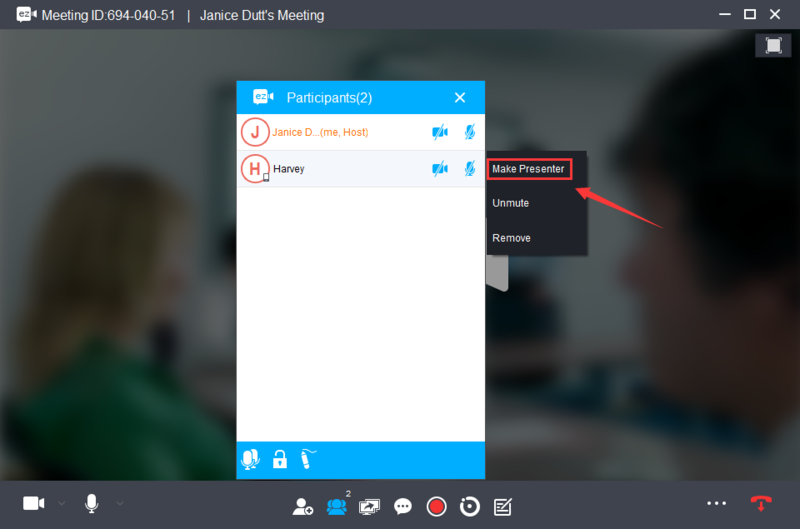 After the host makes one registrant as a panelist, the panelist can apply to be the presenter or the host can make him/her as the presenter on the Participants' page. Click here to know how to make a presenter. 2. What controls does a presenter have? Share: Share the desktop or whiteboard.